The hype is already through the roof as fans all over the world are waiting for this location-based augmented reality game Harry Potter: Wizards Unite. While very little is actually known about how it will look, or even if it will feature anything from the books and movies, the very idea of making our own world a magical place seems to appeal to everyone. While there is only limited info about the things which are officially confirmed to be in the game, J.K. Rowling fans are already delighted, and as they wait they are playing Harry Potter: Hogwarts Mystery, so the HP world is sure to seal the deal in 2018. 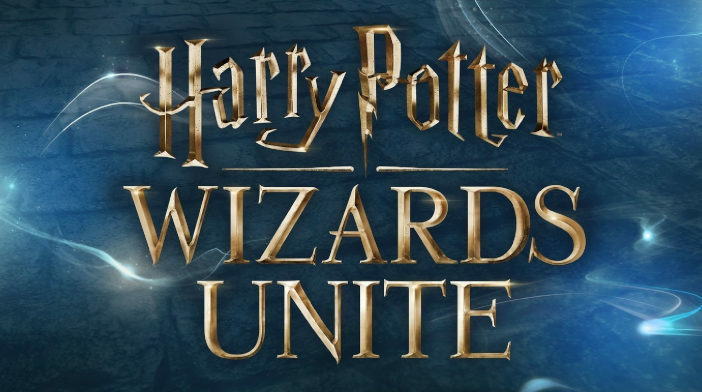 And, when we factor in that Harry Potter Wizards Unite will be developed by Niantic and Portkey Games, which is a subsidiary of Warner Bros. Interactive Entertainment, the same people who participated on Hogwarts Mystery with Jam City, we know we can expect at least a decent adaptation of the HP world. This is not surprising, as there wouldn’t be a Harry Potter game without spellcasting, but the official plan for Niantic is to include an audio factor into spell casting. Since they haven’t really done anything big since Pokemon Go, this is their big follow up and we can expect it to again shock the world with a game changer, and this just might be it. It is still not confirmed if these audio spell components, which would require the player to recite as they cast the spell like in the books and movies, will be in this Wizards Unite game, but everything points towards this being the next big thing from Niantic. The books and the movies are filled with mysterious and powerful artifacts, beginning with the Philosopher’s Stone and Tom Riddle’s Diary, to the Horcruxes that he who must not be named, but we shall name him anyway – Voldemort, made in order to escape death. Of course, besides being used as the central plot points, these items made the storytelling and the entire HP world that much more interesting, and so they are naturally a welcomed addition to this augmented reality genre. The game may require for us to find certain hidden artifacts, or use some to our advantage, like the Marauder’s Map. In Pokemon Go, there were certain hot spots where people would go to because they contained powerful mons, so perhaps in the future people would meet up in search of certain artifacts in similar places in the real world. Again, if we look back at Pokemon Go, there were these legendary raid bosses, which you could take down and catch them after you defeated them. Perhaps this won’t work the same in Harry Potter Wizards Unite, but considering that the hype for the Fantastic Beasts and Where to Find Them movie is ongoing, perhaps they will include a beast collecting feature. This one is perhaps the most anticipated one, as the fans are curious if and how they are going to incorporate the iconic characters from the series into the game. Which ones will they choose, and will they be voiced by the original actors seem to be the two main questions, but also what role will they play? Will they serve as a sort of a teacher to the player, or will they join us in our fight against beasts and the dark arts? This game will not only be about short-term fun because it will feature progression. You will level up and get better in your skills and magic. Every player will also need to have a job or a role in the wizarding world, which will be a part of the game’s storyline. Since this game will be the first big title from Niantic since Pokemon Go, the fans are expecting it to take the whole AR concept the furthest it has ever been before. And, when you think about it, the whole idea does present us with interesting possibilities. The players could be required to catch a snitch, or to attend a defense against the dark arts class. Virtually any known point of the original series and the Fantastic Beasts franchise can be incorporated with success, or at least that’s ideally desired by the fans. Harry Potter Wizards Unite is set to be released in the second half of 2018. Following the success of the Hogwarts Mystery game, which has spawned its own cult following on the web already, J.K. Rowling’s world of sorcery seems to be enveloping our reality big time. The funniest story is about how this game came to be. There was a fan-made petition for Harry Potter Go game, which demanded the creators of Pokemon Go to make an Augmented Reality game for the HP universe, and as it won over 68 thousand supporters in a few months, the developers decided to answer the call. It remains to see if this title will be everything the fans have been asking for. Walkthrough for Part 4 of Take the O.W.L.s Adventure is here! Walkthrough for Part 3 of Take the O.W.L.s Adventure is out!